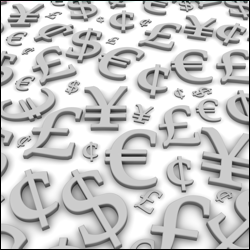 FX markets have been rather flat on the whole and this morning EUR/USD is at $1.3150. Despite the ongoing talks between the PSI and Greece the single currency has held up pretty well. The NFP today could provide some excitement for currency traders but for now support and resistance in EUR/USD is seen at $1.3100, $1.3020 and $1.3200 respectively. Clients have been caught on the wrong side of just about everything apart from gold in the recent move higher. They remain short of most rallying markets, whether that be the FTSE, the S&P 500, the euro or even some of the soft commodities. Many people remain convinced that the strength seen in risk assets so far this year is going to be short lived, but slowly and surely the bears seem to be becoming the minority. The strength in equity markets and general increase in risk appetite gave a boost to the euro which didn't make many clients particularly happy as they have been opposing the recent EUR/USD rally. This morning the single currency is at $1.3150 against the dollar, knocking on the door of a seven week high. The move higher since the middle of January has taken EUR/USD back above its 55 day moving average on the daily chart so the momentum seems to remain on the side of the bulls. Support and resistance is seen at $1.3045/20 and $1.3230/55 respectively. There's a bit of economic data out today that we should all pay attention to. UK manufacturing PMI numbers are expected to climb back above the 50 level which is meant to indicate expansion for the sector, so this could be good news for the bulls and in particular sterling. Then at lunch time the prelude to Friday's Non Farm Payroll comes in the form of the private ADP payrolls from the US which are to climb almost 200k. Later this afternoon, there are further US numbers in the form of manufacturing and construction data. The recent strength in the euro has come to a standstill for now, in line with the equity markets that seem to have had their palpable strength put on pause. The rally so far this year hasn't been helped by the continuing discussions on Greece's debt as day after day we are told "we're near an agreement". For now the euro is holding onto the $1.3000 level against the dollar as EUR / USD trades at $1.3060 at the time of writing. Support is seen at $1.3045 and $1.3010 with resistance at $1.3210/30. Economic data is thin on the ground this morning and then later in the day we get US consumer confidence numbers. Across the pond, confidence has really bounced strongly and so expectations are for a further rise, but not to the extent of recent months. As a result it may not cause any big fireworks on the US shares markets this afternoon. Forex spread betting investors are seeing a sharp rebound in the euro this morning after it fell 70 pips yesterday against the dollar. Traders moved out of the single currency on the back of Fitch downgrades and Greece's failed attempt to strike a deal with private bondholders. The world looks a different place this morning, as Greek PM Papademos said progression has been made with bondholders over a debt-swap, meaning a deal could be around the corner. His announcement was enough for traders to close out any short positions on the euro, causing a fall in the dollar. The pair is currently trading at $1.3175, with support at $1.3075 and resistance at $1.3230. On the forex spread trading markets, the euro finally ran out of steam against the dollar, after surging to a five day gain and its highest level since December 13th. Just as the situation seemed to be improving for the Greek debt situation, Fitch swooped in and downgraded the credit ratings of Italy, Spain, Belgium, Cyprus and Slovenia. As a result of this, combined with the unknown outcome of today's meeting in Brussels over Eurozone debt, we see pressure on the euro continuing. The euro is currently trading lower against the dollar at $1.3130. The euro has enjoyed very decent strength this week but this morning in line with the softer open for European indices it is a little lower against the dollar. EUR/USD is at $1.3095 at the time of writing having almost had a look at the $1.3200 level yesterday. With the talks in Greece being dragged on and the agreement between the country and its bond holders expected today, traders just seem to be holding off to committing any new positions for now. Support and resistance is seen at $1.3050/25 and $1.3145/85 respectively. The Fed's pledge to keep interest rates between 0 and 0.25% until at least 2014, has signalled a very dovish stance. This meant only one thing for FX spread betting markets and commodity traders yesterday; sell the dollar. Continuing on from yesterday, we have seen the dollar fall against pretty much every one of their counterparts, as riskier currencies look to claw back any recent losses. Currently, the euro is trading up against the dollar at $1.3110 and is sitting above its previous resistance of $1.3035 which could signal further upside. Over the near term support and resistance is seen at $1.3035, $1.2975, $1.2930 and $1.3160, $1.3195 respectively. The euro dipped back below the $1.3000 level against the dollar yesterday as a bit of risk was taken off the table across all markets. This morning, however, the Asian session has given the single currency a little boost and EUR/USD has got itself back to $1.3030 at the time of writing. Support and resistance is seen at $1.2970/1.2900 and $1.3050/1.3100 respectively over the near term. In the FX spread betting markets, the EUR/USD pair remains firmly above the $1.3000 level but the bears are still out there. Figures are showing that there are more sellers of the single currency than there have been for a while so the recent strength seems to be attracting more bears. It's hard to believe that this move higher for the euro is more than a bear squeeze, but the longer we remain above $1.3000 the more the bears will doubt their conviction. After a very strong week on the forex spread betting markets, the euro lost some ground against the dollar, as focus was back on the elephant in the room, which is Greece. However, this morning an offer is on the table, which may not completely suit the Greeks but it has encouraged traders so we're now seeing a euro rally. The euro - dollar currency pair is trading higher at $1.2940 and with this little bit of momentum we could see this bear market squeeze continue further.